ExxonMobil celebrated the first birthday of its newest Baton Rouge-area plant last summer with an open house for public officials and the media. The 90,000-square-foot Port Allen aviation lubrication plant was commissioned in 2015 and started production in July 2016. 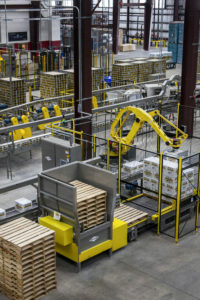 The blending, packaging and warehouse operation produces about five million gallons of jet turbine lubricants annually, officials say, and is part of a $200 million investment. ExxonMobil wanted to step up production of its Mobil Jet aviation engine lubricants to satisfy a growing global market. Demand for advanced aviation fuels and lubricants is expected to increase 55% by 2040, says Nancy Carlson, vice president of aviation and marine at ExxonMobil Fuels and Lubricants. But why Port Allen? The answer might be summarized with one of corporate America’s favorite buzzwords: synergy. The site was chosen largely because it could easily cooperate with the company’s Baton Rouge chemical plant, explains Scott Gleason, who manages the Port Allen lubricants complex. Two idle units at the chemical plant were recommissioned to provide the base stock, which is then shipped to Port Allen in tank cars. The new plant and the retooled chemical plant units together support 45 new permanent direct jobs and cost about $200 million, the company says. Several types of lubricants are used in aviation. 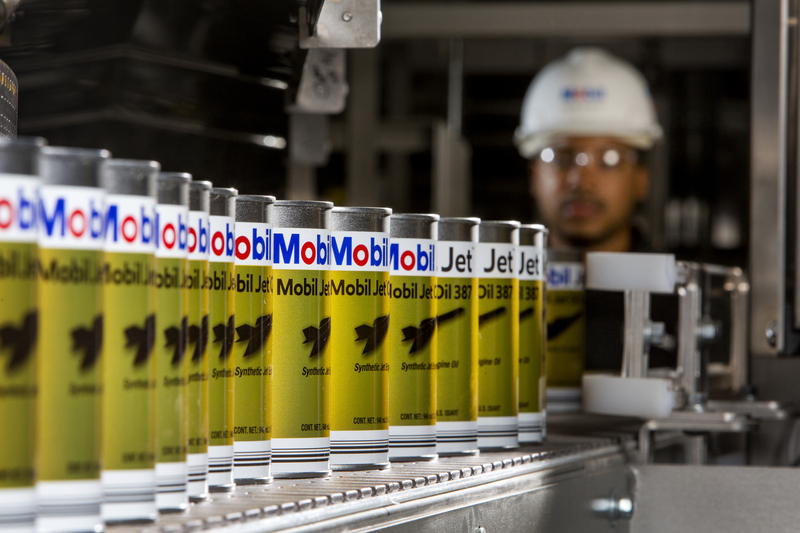 The Mobil Jet oils produced in Port Allen are sold to commercial airlines and used to grease jet engine turbines. Product specifications are set by the U.S. Navy. The company touts several features meant to make the facility more environmentally sustainable. Sonny Fourroux, the aviation plant’s operations manager, says the facility minimizes water usage by collecting, treating and storing storm water for use in maintenance. The plant also utilizes natural day lighting panels to minimize the use of electric lighting, Gleason says. And when electric lights are needed, efficient LED lighting is used, he says. CELEBRATING ONE YEAR: The 90,000-square-foot Port Allen aviation lubrication plant was commissioned in 2015 and started production in July 2016. Photo courtesy Exxonmobil. ExxonMobil officials say the recent Port Allen lube plant tour was meant to celebrate the first year of operation. But highlighting the new plant also gives them a chance to argue for a tax climate that encourages such investments. 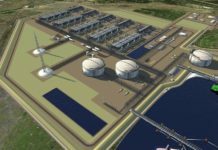 The Port Allen facility is one of 11 ExxonMobil projects worth a total of $20 billion planned for Louisiana and Texas through 2022, a wave of investment dubbed “Growing the Gulf” that is meant to capitalize on low natural gas prices. 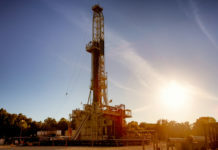 That total includes a $10 billion ethane cracker, to be owned jointly with a Saudi Arabian corporation, that was considered for Louisiana but instead will be built near Corpus Christi. ExxonMobil says the favorable business climate in Texas factored into the decision. Louisiana’s industrial property tax exemption program, commonly referred to as ITEP, will factor into those decisions, Venable adds. But the program is in flux. ITEP benefits until recently were doled out by a state-level board without local consent. Gov. 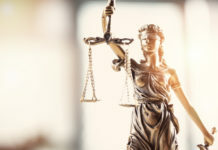 John Bel Edwards has given local taxing authorities a say in the process, which supporters of the change say is only fair, since local governments shoulder the costs. But now, companies may find it difficult to predict how large of a tax break a given project will receive, if any. East Baton Rouge Parish, for example, has not finalized the process it will use to determine ITEP awards. 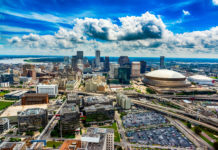 Last year, ExxonMobil withdrew applications for the East Baton Rouge Parish version of the Enterprise Zone program, citing a lack of support from the Metro Council. The chemical plant retooling to serve the aviation lubricants plant was among the projects that would have benefited. Skeptics who say Louisiana has been handing out way too many tax breaks for projects that would have happened anyway welcome greater scrutiny. 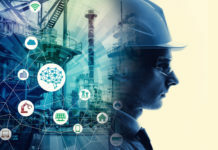 But industry leaders fear the reform attempts will lead to a less stable, predictable and business-friendly environment, nudging future investments to neighboring states. 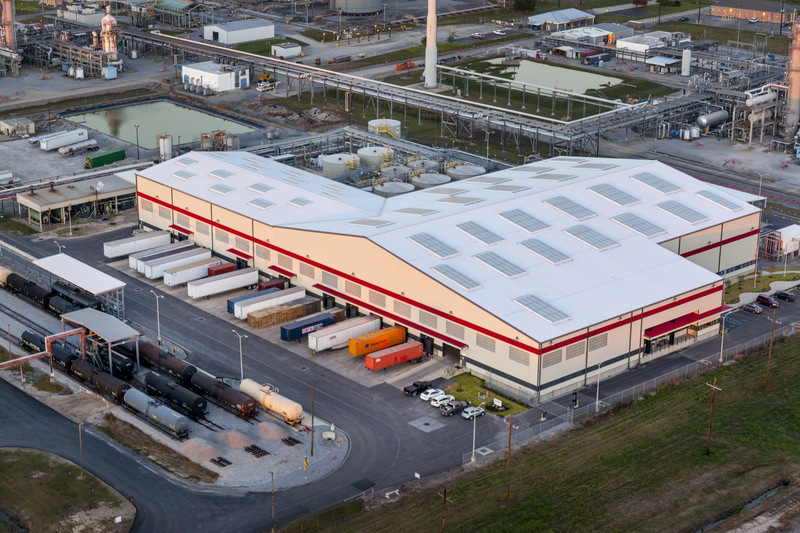 FACILITY: The 90,000-square-foot plant sits on 5 acres as part of the Port Allen lube blending facility. Plant construction was commissioned in the fall of 2015, and production started last summer. 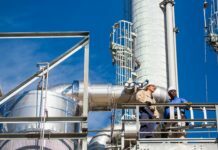 COST: Total cost of $200 million includes the aviation plant and upgrades at the ExxonMobil Baton Rouge chemical plant, which supplies the base stocks via tank cars. PRODUCT: Produces about five million gallons of military-grade Mobil Jet oil annually, which greases the turbines of commercial passenger jets. Package options include one-quart cans, five-gallon pails, 55-gallon drums and 330-gallon totes. WORKFORCE: Staffed by 16 ExxonMobil employees and four contractors. Once chemical plant expansion is taken into account, the project provides a total of 45 permanent new jobs. Construction supported 400 temporary jobs. MARKET: Mobil Jet oils are shipped worldwide. Demand for the lubricants is expected to increase 55% by 2040. INCENTIVES: To secure the project, Louisiana Economic Development provided a Modernization Tax Credit valued at $1.8 million and payable over five years, along with customized workforce training from LED’s FastStart program. ExxonMobil also benefited from Louisiana’s Enterprise Zone and Industrial Tax Exemption incentive programs, although the value of those benefits is not itemized by project. The company withdrew an application for a local Enterprise Zone benefit from East Baton Rouge Parish.